‘Rustic with a touch of glam’ is what you will find at Quirindi Stables. This fabulous property is a unique canvas for you to bring your own style and create the day of your dreams. Quirindi Stables is a relaxed space which has a great vibe. It is a perfect venue for getting together with your family and friends. Quirindi Stables (kar-rin-dye) is the home of Hepburn Lagoon Trail Rides located just out of Daylesford. It is a family owned farm that has been in the same family for five generations. The Stables, Barn and Long Shed are the original sheds and are authentic in their rustic appeal. Set in a beautifully maintained garden, the buildings have been lovingly brought to life, oozing with character and charm. Set on over 100 acres, Quirindi Stables has many options for couples to host the ceremony and reception/party. Couples can plan the day as they wish and use the various parts of the property to make the day an unforgettable experience for them and their guests. The Barn with its wooden shingle roof and open fireplace is an intimate space looking out on to the tear-drop lawn and paddocks beyond. The Stables are where the day can kick off into the night as guests enjoy a drink on the verandah or gather inside on the flagstone floor. There are many fabulous props to choose from to create a stylish rustic theme. At Quirindi Stables you bring in your own caterer and drinks. It is perfect for a relaxed cocktail style of wedding with ample room for up to 200 guests or sit-down for at least 80. A marquee can be brought in which creates many possibilities.. Food trucks, caterer vans and bar vans are fabulous options at Quirindi Stables. There are many gorgeous places for stunning photos around Quirindi Stables. Another bonus of Quirindi Stables are the beautiful horses. With over 50 horses on the farm, these can be seen grazing in the paddocks, adding to the appeal of this amazing venue. There is also the option of having horses as part of the photo shoot. Owners, Sue & Kieran are happy to work with couples to help them create the day of their dreams. With accommodation options available in nearby Daylesford and Creswick, and then Ballarat, there are numerous options for guests so that they can make a weekend of it too. Quirindi Stables is just over an hour’s drive from Melbourne. Kieran and Sue have lived at Quirindi Stables for over 16 years with their four children. After travelling and working in various places, Sue & Kieran arrived back to take over the family farm. 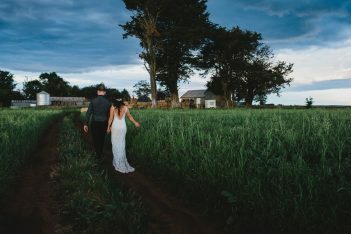 With Kieran’s background in business management and many years experience managing the Hepburn Spa Resort and Sue’s teaching background, love of floral art and everything old and rustic; the couples’ creative flair is inherent throughout the property. 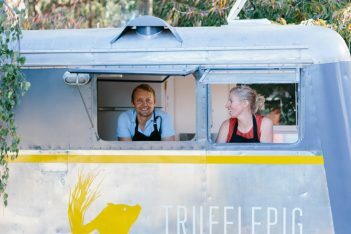 The history of the farm has always been important to both Sue and Kieran and they have strived to retain the originality of the farm, while still adding their own style. Now with over 50 horses on the property, Kieran takes trail rides to the nearby Wombat Forest. The riders come back to Quirindi Stables for a chat and something to eat around the fireplace after the ride. 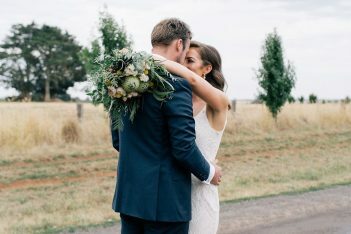 After receiving so many positive comments about their gorgeous property and with people requesting to be married at Quirindi Stables, Sue and Kieran decided to open it up for couples who would like to be married there. Here's a short teaser of Brendan + Brianna's Wedding.. Full highlights coming soon!